Perhaps the most vivid image that comes to mind when considering cancer patients is the hair loss that is so common during chemotherapy. For many cancer patients, it marks the stage when they are fighting their hardest to rid themselves of the disease. If and when they become cancer survivors, their hair—and, in some sense, their old sense of self—returns. Knowing that day will come can be a light at the end of the tunnel for cancer patients as they suffer through weeks of chemotherapy. But what if you went through chemo and waited eagerly on the other end to look like yourself again, and, instead, the hair loss was permanent? It’s been the case for some cancer survivors who opted to use the drug Taxotere (also referred to as docetaxel) to treat their condition, and many claim they were never told the permanent alopecia was a possibility. In 1996 the US Food and Drug Administration (FDA) approved Taxotere as an intravenous chemotherapy treatment for metastatic and adjuvant breast cancer. Its uses would eventually be expanded to include a range of cancers, including prostate, stomach, and head and neck. 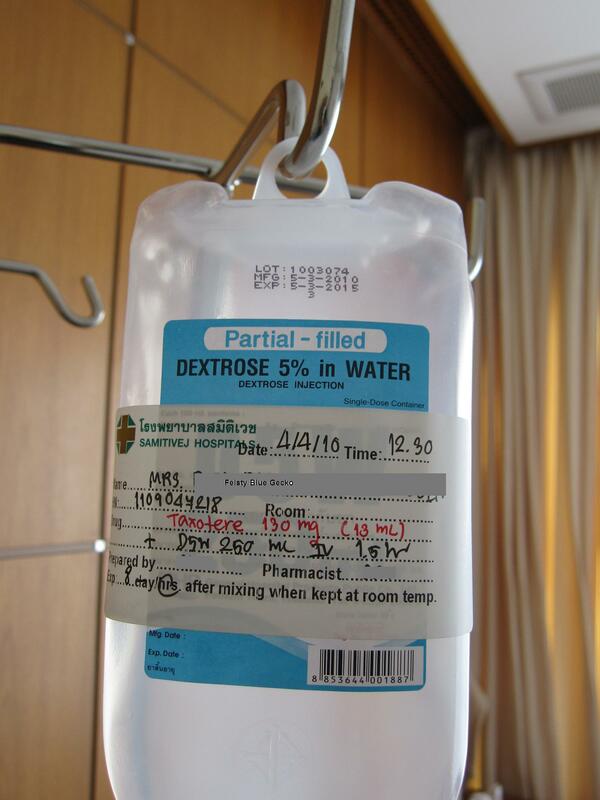 Taxotere is administered every three weeks over the course of an hour, in the manner of traditional chemo treatments, and most patients undergo four cycles of Taxotere. Since being approved, more than 1.5 million patients have used Taxotere as a cancer treatment. While temporary hair loss is a common and expected side effect of chemotherapy treatments, permanent hair loss is not, and numerous lawsuits filed against Sanofi-Aventis, maker of Taxotere, allege that the company did not alert patients to that risk. The listed potential Taxotere side effects have always included hair loss, but it was only recent that Sanofi acknowledged long-term possibilities. In 2006, a Sanofi-conducted study indicated that approximately 3 percent of those who took Taxotere with other chemotherapy drugs would experience persistent hair loss. Even the percentage that Sanofi lists, however, was criticized for potentially being much lower than actual occurrences. Another study released that same year by an oncologist at Rocky Mountain Cancer Centers found that over 6 percent of breast cancer patients ended up growing back only half the hair they originally had (this was especially prevalent when Taxotere had been combined with certain other chemotherapy drugs). More recently, a study presented at the 2014 NCRI Cancer Conference, suggested “long term significant scalp alopecia” may affect 10-15 percent of patients who have used docetaxel to treat early breast cancer. "The Taxotere lawsuit states that Sanofi Aventis’ failure to appropriately warn patients of the risks associated with Taxotere robbed them of the option to choose"
Our lawyers are evaluating a possible Taxotere lawsuit for patients who have been affected by alopecia after receiving treatment of the Taxotere chemo drug. Patients who have used Taxotere and now face permanent alopecia echo that statement. Many feel they were not advised of alternative—and equally effective—chemo treatments that run almost no risk of long-term hair loss, and almost all patients feel that Sanofi knew of the link between Taxotere and permanent alopecia early on but did nothing to advise users. In response to the emotional toll that this very visible physical effect has had on their lives, some former-Taxotere users with permanent hair loss have both formed a support group, called A Head of Our Time, and others have filed lawsuits against Sanofi-Aventis. In the lawsuits, the various plaintiffs allege not only that Sanofi either knew or should have known about the risk of permanent alopecia, but also that Sanofi continued to heavily market Taxotere despite their being existing chemotherapy treatment options that were just as effective. At this time litigation is still in early stages. With a constant reminder of the effects of Taxotere every time they look in a mirror, however, former patients who used the treatment and permanently lost their hair aren’t likely to forget what happened anytime soon.